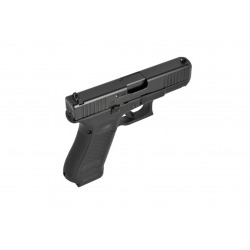 The slide has the proven, superior GLOCK hard-surface finish nDLC in non-reflective black. 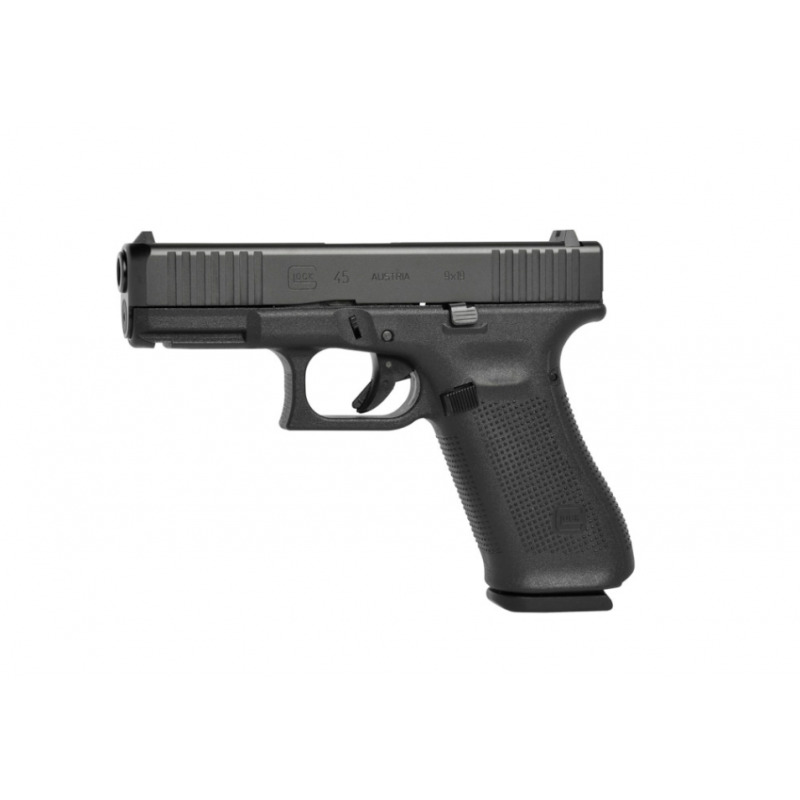 It comes with front serrations (FS) which provide an additional tactile surface choice when manipulating the slide giving the operator positive traction even with wet or sweaty hand. The frame is also subdued black, with a flared magazine well for fast reloads in critical situations. 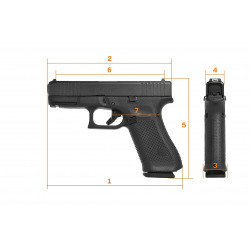 Additional features include the smoother trigger pull, the enhanced texture for sure handling, a reversible magazine catch, ambidextrous slide stop lever, the Modular Backstrap System (MBS) for individual ajustability and the incredibly accurate, reliable GLOCK Marksman Barrel (GMB). 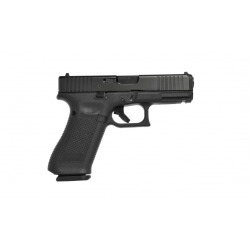 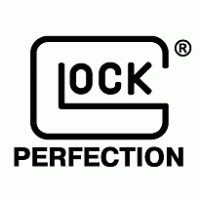 With the G45 GLOCK has the next level of performance for service pistols - tested, proven and unmatched by any others.